Facebook knows your dating habits. Google can tell if you like Disney World. Vizio advertisers see in real-time when you watch Game of Thrones. Alexa can record your conversations. The question is whether this is an invasion of privacy or the product of smart targeted advertising. 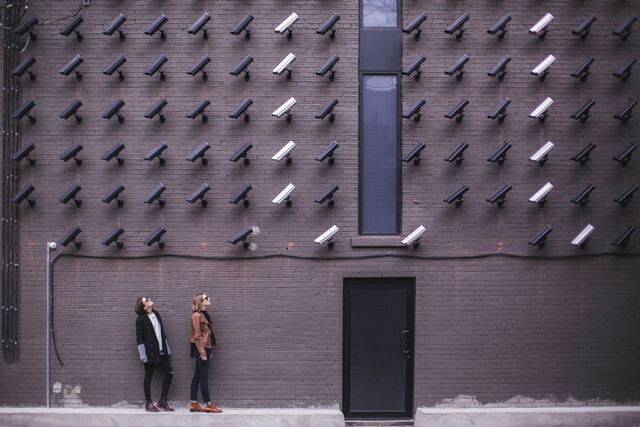 Consumers can breathe a sign of relief knowing that the Federal Trade Commission (FTC) is safeguarding privacy practices of internet companies. The FTC charges against Uber for unfettered access to user geo-location data demonstrates that the sky is not yet falling for privacy advocates. From mobile applications to smart refrigerators, devices we trust with our information all fall under the FTC’s rules. And, even though Google, Facebook, and internet service providers (ISPs) collect information, there is little discussion the glaring unequal requirements between companies. The problems started when the Federal Communication Commission (FCC) issued the Broadband Privacy Rules in 2015. The new rules would have deviated from FTC privacy norms by preventing internet service providers (ISPs) from accessing user data. Without it, ISPs would be unable to continue appealing to advertisers and engaging in the Internet economy. Congress repealed that decision earlier this year, igniting fury from every corner of the internet. In a reckless response to privacy concerns, states are looking to pass their own privacy regulations without regard to reality and functionality. The latest state to consider privacy legislation is California’s AB 375 currently being considered by the Senate. If enacted, the bill would mandate that ISPs receive opt-in consent to use consumer data. That anger and California’s AB 375 are misguided and misdirected. ISPs collect less user data than their edge provider counterparts like Google and Facebook. They also have never had the ability to sell personal browsing history. Collecting insights on aggregate user behavior, including the capabilities of ISPs, are all legal practices under the 1996 Telecommunications Act. Contrary to sensationalist headlines, the sharing of identifiable user data is explicitly illegal for all entities, including ISPs. The legislation under consideration in California goes beyond the Broadband Privacy Rules by requiring ISPs to receive opt-in consent. Opt-in consent essentially means that consumers have to manually navigate prompts to green-light access to data. The bill also prevents ISPs from offering premium privacy services for an additional fee. Writers of the legislation argue that “privacy is not a luxury.” However, just like Facebook, internet access is not a right. It is a service that is paid for and subsidized by advertising revenues. The broadband privacy debate does raise an important issue in a world that’s filled with and fueled by data. Recent discussion, however, has little to do with privacy and everything to do with who controls that information. That is because data collected from consumer interactions allows tailored, targeted, and more effective advertising. Rather than running a campaign on television, the Internet allows for the ads to appeal to the most promising demographic at a lower cost. Today, it is the currency of the internet economy. Advertising revenue derived solely from search history in the United States is now valued at an estimated $36.7 billion. What may be surprising is that it is not ISPs that claim the most profit from user browsing habits. In fact, Google claims 78 percent of that $36.7 billion. That is because information gleaned from users is more precise when aggregated from multiple sources. Not only does Google collect data on your search history, it also collects data from applications and geolocation on Android phones. Privacy concerns are a legitimate issue, but it is important to remember that data collection practices are symbiotic. Linkedin, Instagram, and Facebook are free to access because companies operate on advertising revenue as opposed to charging users. In stark contrast to edge provider counterparts, traditional media like the Wall Street Journal prevents users from reading content without a subscription. The represents a shift away from traditional advertising methods towards the modern digital Internet economy. Before the Internet, newspapers and cable programs were the preferred advertising medium. Profits gleaned from advertising are high enough to finance shows that cost millions to produce. Now, those same companies pour their resources to the online world instead of traditional mediums. ISPs are already at a competitive disadvantage, given that half of consumers now use streaming services instead of cable television. Privacy legislation that would exclude ISPs from participating in advertising would compound declining profit margins. When faced with the decision to hike up costs for consumers or play a role in the digital economy, ISPs are choosing the latter. Preventing ISPs from accessing search history will inevitably raise prices for everyone. The debate on whether to allow ISPs to collect the same, if not less data, than other internet entities did always not exist. Consumers neither noticed nor had a problem with targeted ads. It was considered an accepted aspect of the internet ecosystem. In 2015, this all changed when ISPs began injecting their own ads over edge providers. Instead of seeing Google’s ads on webpages, consumers would see ads delivered through their ISPs. One could speculate that edge providers were not fond of this practice. Rather than allow the free market to eat at their profits, Silicon Valley sought government intervention to recoup their losses. Later in 2015, the FCC Broadband Privacy Rules were born. Seizing on a victorious election, the Trump Administration pushed for free market practices through reversing overbearing rules enacted during the prior Administration. Congress utilized the CRA to repeal the FCC Broadband Privacy Rules in March with the President signing it in April. The protections on privacy in place today are the exact same ones that existed in 2014 during the Obama Administration. What no one seemed to notice about the privacy rules is that they never went into effect. Nothing has changed. In the middle of heated partisan politics, Americans should consider carefully whether politicians are acting in their interest or instead, acting in the interest of their party. Consumers shouldn’t be fooled by false promises of privacy and politicians should understand the facts before passing legislation on the federal or state level.